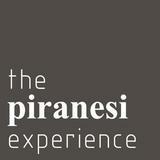 The Piranesi Experience produces films and multimedia contents about art, architecture and design. The company was founded by Claudio Esposito, who studied architecture at the Università di Ferrara and then obtained a master's degree from the Experimental Cinematography Centre in Rome, and by cinematographer Fabio Paolucci. The group support artists, architects, developers or agencies in producing cross-media contents, breaking the boundaries between disciplines and creating a fertile atmosphere for communication. The team is composed by film-makers, directors, 3d artists, musicians, photographers, graphic designers and producers, and works with 4K shooting, CGI, animations. By merging the most updated movie techniques with traditional and tailored solutions, the group helps architects or artists to find the best emotional way to express their works. Among their earlier projects, they produced multimedia contents for the Lina Bo Bardi exhibition at the MAXXI Museum in Rome (2014/15). They recently produced "Borgo Vecchio Factory", a mid-length documentary that delves into the revolution of a crowdfunded painting workshop for kids which changed the face of Borgo Vecchio, in Palermo, where most of the families are in check of criminal organizations and poverty. In the architectural realm, The Piranesi Exeperience developed short films for 5+1AA by introducing the "Monte Galala" urban plan on the Egyptian coast and the "Knowledge Center" at IULM University in Milan. The group also worked with Giovanni Vaccarini Architects and produced the short film "Deep into the Surface" introducing the SPG Société Privée De Gérance Headquarters in Geneve.